A good professional constantly grows in experience and learning, so the MBA’s, specializations, certifications, courses, seminars, and workshops are important, although all these are distinct. 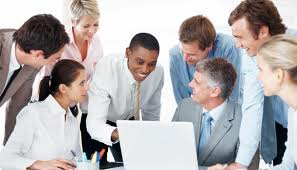 But a successful project manager must go beyond diplomas and certificates, he needs be an expert in field practices and general knowledge – knowledge in project management, performance management, and has attributes such as leadership, pro-activity, personality, attitude, communication skills, etc.. – Interpersonal skills. People are the key to success for a project manager. For all technical qualification may be obscured if the manager run into a conflict of interest, for example, between two functional managers or between client and sponsor, and does not deal with it. It´s more than looking at spreadsheets and software, schedules, costs, etc., it´s looking at the people. Know your team, know your sponsor, and get to know your customers. Learn to take advantage of differences and the results will be amazing. The good news is that it is easy to practice developing these skills. Beginning especially at home with the family, with neighbors in the building and with friends and colleagues, for it’s the practice of good relationships that help develop the career of a project manager!